Looking after your eyes is as important as looking after the rest of our body. Eyes play a vital role in our day to day lives and are perhaps the most precious gift we have. This world is visible to us because we are blessed with eyesight. Clear and bright eye sight makes this world a better place to live in. Because of the importance to have a healthy eyes, Mommy Jane was here at The Signature Service Suites & Studios KL, Sri Hartamas for Rohto Blogger's Event and to be the first to experiece the new eye drops. Rohto Cool Eye Drops comes with a unique cooling formula that provides us with an instant cooling sensation which soon fades to be replaced by a totally refreshing feeling for our eyes. Unlike other variants of eye drops that are available off-the-shelf, the cooling formula aids in producing more natural tears that help to soothe your eyes and reduce eye fatigue by increasing perceived image clarity. The Marketing Manager show us the way to applied Rohto. "At Rohto, we believe in developing a daily eye care routine is essential for everyone especially in the technology-driven society whereby we are always on-the-go, with long hours in front of computers, TVs and mobile devices and other environmental irritants which contribute incidents of eye fatigue. 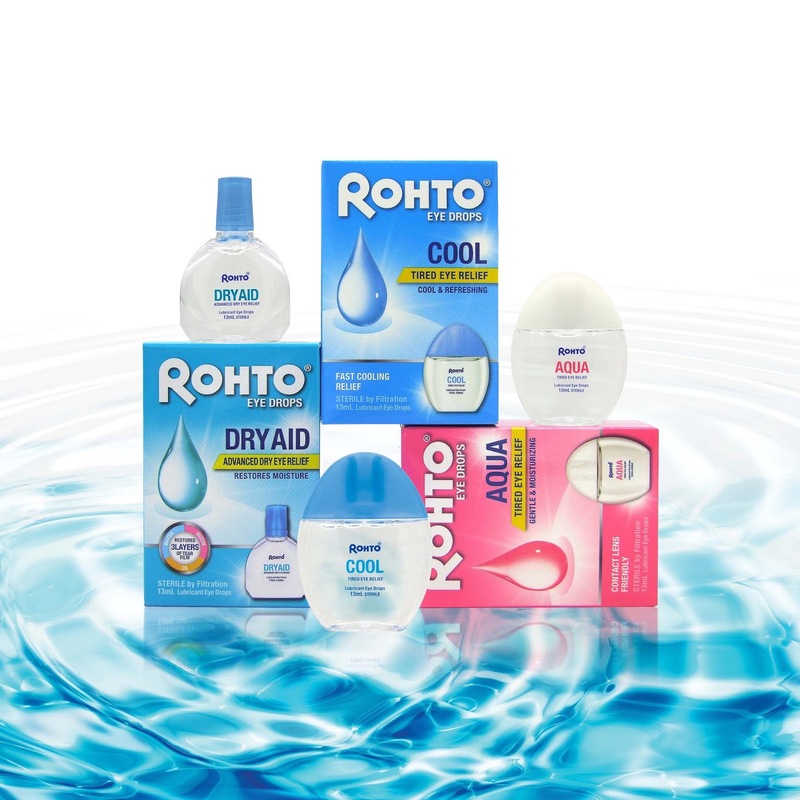 With its unique cooling relief properties, the eye drop is an effective solution and the perfect addition to your daily eye care regime," said Ms Lim Mei Yuen, General Manager of Rohto-Mentholatum. Rohto ensures consistent safety and quality through strong governance and compliance to applicable regulations and standards. It is carefully formulated by eye care specialists in full compliance to standard guidelines to ensure the product is safe and effective for minor eye irritations or dryness. Each ingredient is filtered and sterilized, from the bottle to the cap and nozzle through gamma sterilization or electron beam sterilization. The Rohto Cool Eye Drop is priced at RM16.90 (inclusive of GST) per bottle and available in leading pharmacies and hypermarkets nationwide. It is conveniently packaged in an innovative, transparent, slim and sleek bottle that has a non-squirting, single-drop dispenser said to be the only packaging of its kind in the market. I had tried it on and my eyes felt so relieve after just a drop at each of my eyes. I felt so fresh and relax. Since it can be use with contact lense, no more worries that my eyes will get dried later. Just a bottle of Rohto at my handbag, I will feel comfortable all day long. Lovely product indeed! Will buy more for sure! 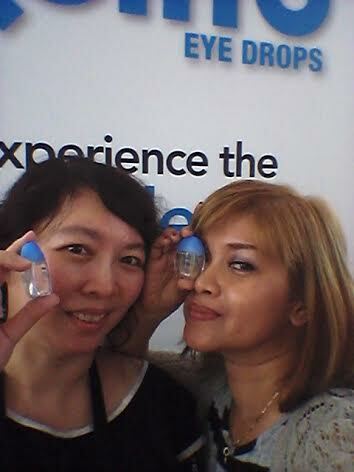 Rane, its good especially our eyes dry easily after wearing contact lenses whole day. Fish, it helps a lot to made our eyes feel fresh again. How much is that and where can i buy Rohto here in the Ph.? The Rohto Cool Eye Drop is priced at RM16.90 (inclusive of GST) per bottle and available in leading pharmacies and hypermarkets nationwide. eye drops are always useful.. day in day out we are vulnerable to the outside dusty air . Isaac, thats why we need to put it at our bag and can use it anytime that we want. Wendy, agreed with you but with eye drop, you'll feel much better. I heard of this eye drop before but never has the chance to try it yet. Kelly, then you should try it zhor and I'm sure you'll love the result too.